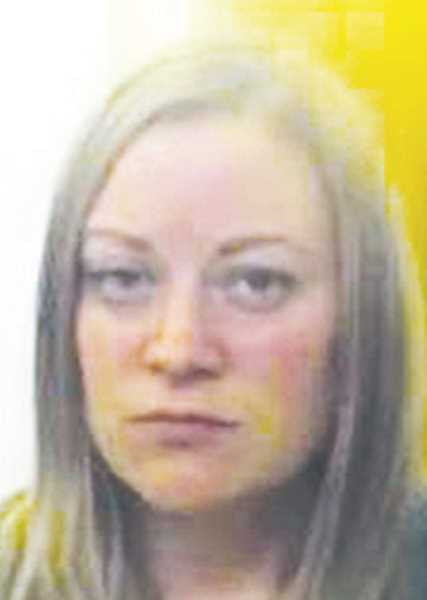 Yamhill County Deputy District Attorney Amanda Dresen was arrested May 27 in Curry County after allegedly assaulting a 13-year-old boy and now faces misdemeanor charges of fourth-degree assault, strangulation and harassment. The alleged victim was not named in court documents, but Curry County resident Bryan Vanderhoof contacted this newspaper following the arrest, identifying his 13-year-old son as the victim and noting that he and his wife, Brittany, were pressing charges. Curry County District Attorney Everett Dial filed the three charges June 5 and an arraignment hearing was held June 11 in Gold Beach. According to the Curry Coastal Pilot newspaper, Curry County Sheriff's Office Deputy Ray Warren investigated the incident, which is alleged to have taken place the evening of May 26 at a family gathering on Winchuck River Road, which lies just north of the California border. Brittany Vanderhoof told the Coastal Pilot that her son was attacked twice by Dresen, describing the first incident as minor, as he was able to get up. The second time, though, Vanderhoof claims Dresen held his throat so tightly that he couldn't move, leaving marks on his neck and body. The Coastal Pilot reported that the victim attended the reunion at a Dresen family home, but before leaving was taken aside by Dresen to talk to the victim and another boy "about their attitudes about women." It was during that time that the alleged assault occurred. Dial has not replied to requests for comment and the probable cause affidavit that typically lists the findings that led to the filing of charges; it does not appear with documentation of court proceedings online. Yamhill County District Attorney Brad Berry did not return messages requesting comment, but the McMinnville News-Register reported that Dresen has been placed on administrative leave. Bail for Dresen, 38, was initially set at $20,000, 10 percent of which was posted to secure her release. After Portland attorney Ben Eder, who is representing Dresen, secured approval from Dial and the court, the June 11 arraignment hearing took place via telephone, so neither Dresen or Eder appeared in person. Dresen's conditional release agreement called for her not to have any contact with the victim and that she report to the Curry County jail to be booked and released by July 10, the date of her next hearing. Eder, however, submitted a motion Thursday to allow he and Dresen to appear by phone at that hearing, as well, noting that Dial did not object. The motion has not yet been ruled on and Eder has not responded to requests to comment on the matter. Dresen received her bachelor's degree from Oregon State University in 2001 and attended Michigan State University College of Law, graduating in 2004 and gaining admission to the Oregon Bar in 2005.